Poze has developed hair pieces like Top Piece or Wire & Clip Hair Extensions, which is a new way to extend and thicken your hair. Completely gentle to your own hair. Wire & Clip can be described as a dress that you can wear on your head with the transparent wire. It has never been so easy or gentle to use hair extensions. With Wire & Clip Hair Extensions, you achieve outstanding results in no time. 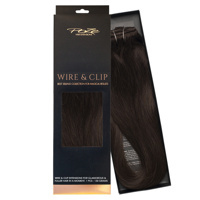 Wire & Clip Hair Extensions is perfect for all occasions and hair types. It has never been so easy or gentle to use hair extensions. With Flip In Hair Extensions, you achieve outstanding results in no time. 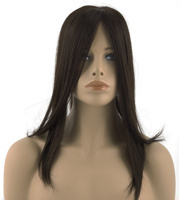 Flip In Hair Extensions is perfect for all occasions and hair types.